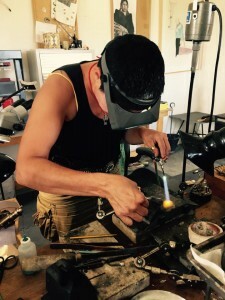 Assuming jewelry is a form of art, there is any number of standard mass-produced pieces. Along side these easily recognized, easy to wear, staid mass marketable pieces, there is the fashion market, aimed to support trendy baubles. There is also ethnic jewelry, rooted in tradition, but more and more being made in mass for tourists. However emerging across the world and standing apart from these previously mentioned approaches to jewelry is the unique category of wearable art. 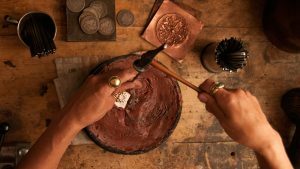 In creating this type of jewelry the artist develops a concept and design, addresses the relationship between object and the body and thus engages in and deepens the discussion of fine art. My jewelry falls into the category of wearable art as it has a conceptual narrative exploration at its core. I am Native American, I use traditional Kiowa imagery and materials in contemporary form. This inquiry happens through an exploration of imagery and materials to create a small sculpture complete upon its own, as well as worn on the body. Informed by current visual culture, the history and theory of modern art and my personal aesthetic, my goal is to create work that strives to embrace contemporary jewelry making strategies by applying artistic methodologies that are different from traditional design processes. Different in that their dynamic comes from a content-based enquiry rather than tried and true design, marketability or a traditional form. 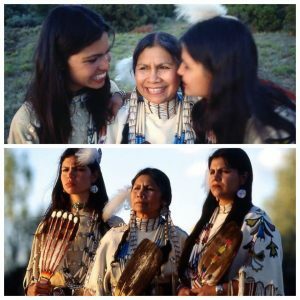 Raised on the Wind River Reservation in Wyoming, Keri Ataumbi was exposed to both traditional Native American aesthetics and contemporary art theory and practice from an early age. Her Kiowa mother ran a trading post and her Italian-American father is famous for his bronze sculptures. Ataumbi and her sister were encouraged to pursue their individual interests in art. 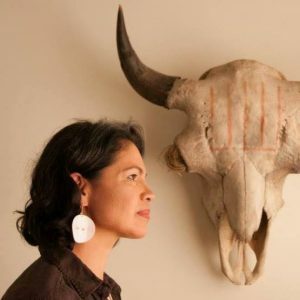 Ataumbi attended Rhode Island School of Design before moving to Santa Fe in 1990. 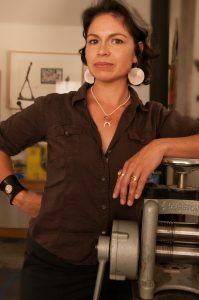 After moving to Santa Fe she worked as a landscape designer while attending the Institute of American Indian Arts and eventually received a BFA in painting with a minor in art history from the College of Santa Fe. 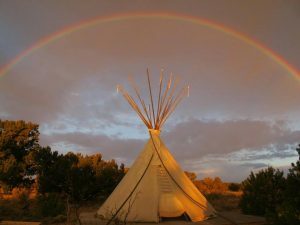 She currently lives and works in the Cerrillos Hills outside Santa Fe.